April 5th, 2019 – Okay…so this might not be THAT big of a controversy. But, years ago Alice, one of our co-founders, wrote a blog about why using bleach in your hot tub as its only sanitizer wasn’t really the best idea. I have to say, it’s been quite amazing the number of hot water MacGyvers there appear to be out there who are just adamant that their ideas regarding safe hot tub sanitizing are a lot better than anyone who might be in the business of selling hot tubs and doing what’s needed to make sure folks don’t inadvertently cause water safety issues for themselves, friends or families. It’s seems like it’s getting harder and harder to keep bacteria at bay as the ecosystem evolves. It’s not accidental that many people reach for hand sanitizer, have disinfectant wipes at the ready, and so many products out there tout killing 99.9% of bacteria. Yet, somehow when you talk about hot water open to a whole host of microorganisms that can thrive if it isn’t properly sanitized, and suddenly it’s instead a wild wild west “we don’t need your stinking hot tub products!” world. Yikes! Since this seems to be a topic that is…polarizing, I thought it would be great to ask someone with far more years of hot tub and pool water care expertise to provide a guest post on the topic. I’ve known Terry Arko for well over 20 years and he’s definitely someone who knows his water care stuff! He can tell me things about hot tub water chemistry that even make my eyes glaze over in about 30 seconds. I don’t even know how he manages to retain the wealth of knowledge he has about taking care of hot tub and pool water and making sure it’s safe healthy water for all to enjoy. Terry has more than 40 years (!) of experience in the pool and spa industry. He has worked in nearly every facet of the business: service, repair, retail and commercial sales, product development and technical service. He’s written over 100 published articles on water chemistry and been an instructor of water chemistry courses for over 25 years. He’s also a member of the Recreational Water Quality Committee for the Pool & Hot Tub Alliance (PHTA). Terry is currently a Water Care Specialist at NC Brands, which makes a wide range of products for pool and hot tub water care including Natural Chemistry & SeaKlear. Terry was gracious enough to accept my request to give perspective on using bleach to sanitize hot tub water. Here’s what he has to say! So, why would anyone want to treat a hot tub as if it were a swimming pool or a washing machine?! I am talking about the water treatment products that are used. Let’s start with disinfecting. Since we are talking about hot water that comes in contact with human bodies there is plenty of potential for the production of bacteria. In fact, due to the higher water temperature and smaller gallonage the growth of bacteria can be much higher in hot tubs than in a swimming pool. The industry has developed great, safe disinfectants for use in a hot tub. One of the best is still granulated chlorine. 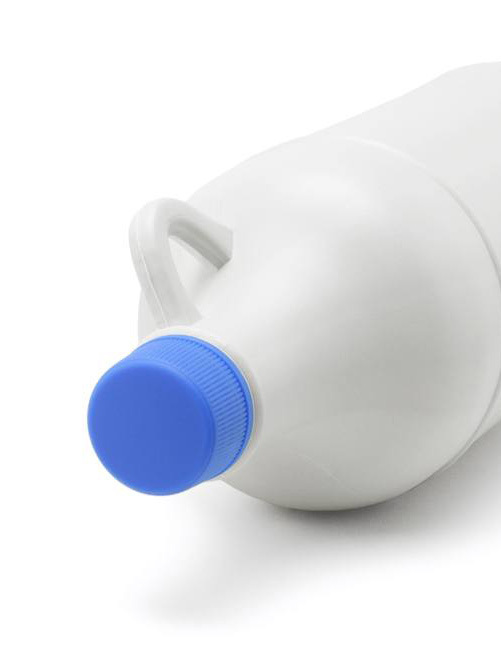 Now, the do-it-yourselfer online snooper may find proponents who say you can just use bargain brand liquid bleach as the sole sanitizer for a tub. After all, that’s chlorine…right? Well let’s see if you want to risk the protection and safety of yourself and others on store bought liquid bleach. The bleach from a grocery store is 5% active chlorine. It’s the active chlorine that disinfects and keeps water clean. There is a special formulation of chlorine granules for hot tub use available at your hot tub dealer. These “concentrated “chlorine granules provide 55% active chlorine to disinfect and keep nasty things from growing in your hot tub. Yes, it tends to be more expensive as a result of the formulation and the percentage of active chlorine…but you get what you pay for. And what you’re paying for is sanitizer that WILL kill what we leave behind in the tub and keep it sanitized and safe. Next, we come to the great secret of hot tub water care…what I refer to as the “secret of hot tub water life”. That is balance. Proper water balance in a hot tub is crucial for the effectiveness of the disinfectant, the comfort of the hot tubbers and the protection of the equipment. Anyone who has owned a swimming pool knows you can go down to the hardware store and buy big gallon jugs of muriatic acid. This is used to manage the water pH. Acid is used to lower pH when it becomes too high. HOWEVER, muriatic acid is an extremely aggressive and dangerous product to handle and use in a hot tub. Pouring muriatic acid in hot tubs can lead to a quick over-acid condition of the water which can be harmful to users and literally destroy your hot tub equipment. Hot tub dealers provide a safer buffered pH decreaser. This product is formulated at proper dosages to safely reduce pH as needed. Many areas of the country have soft water out of the tap. pH and total alkalinity may need to be increased for an ideal hot tub water environment safe for bathers and not harmful to hot tub equipment. Spa pH increaser is a buffering salt that safely raises pH, while alkalinity increaser helps get your alkalinity level in the correct range. Great hot tubs designed to give you the much-needed therapy and relaxation customers seek today are an investment. For the safest and most efficient care of that investment, be smart. Use treatment products that are specifically formulated for the safe dosing and use of hot water. There’s a reason you don’t see bleach on hot tub retailer shelves. It doesn’t belong there. After all, you don’t swim or wash your clothes in your hot tub! My thanks to Terry for his willingness to share his perception on this topic as an expert in the field.